With school back in session, schedules are crazier than ever! 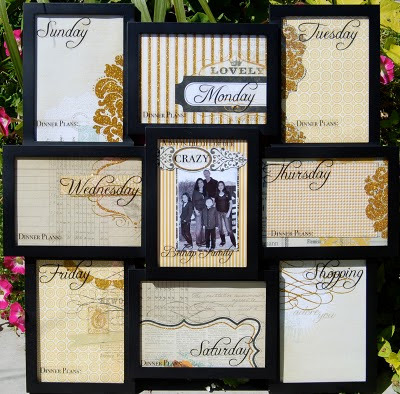 What a classy way to add some bling while keeping your family & life in organized! Transparency with words for the frame. 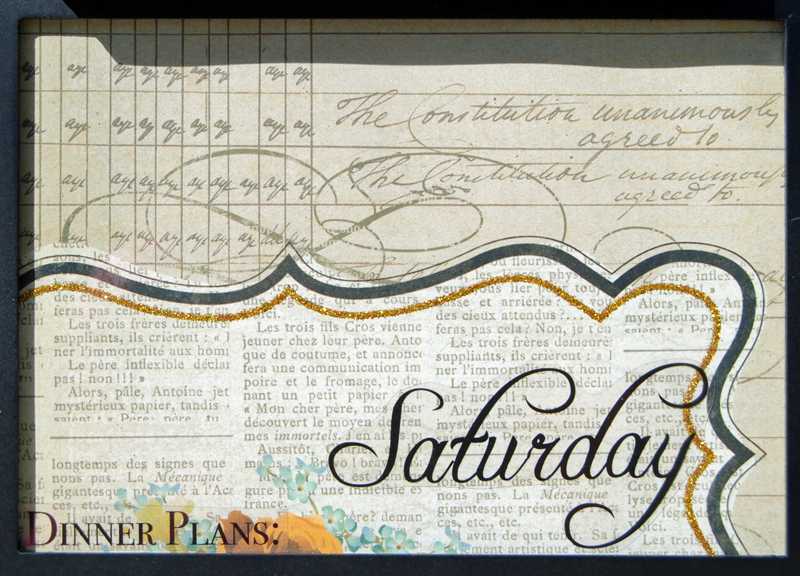 Sunday: Cut a 5x7 square from the bottom right corner of the “Lovely” Sewing Paper. 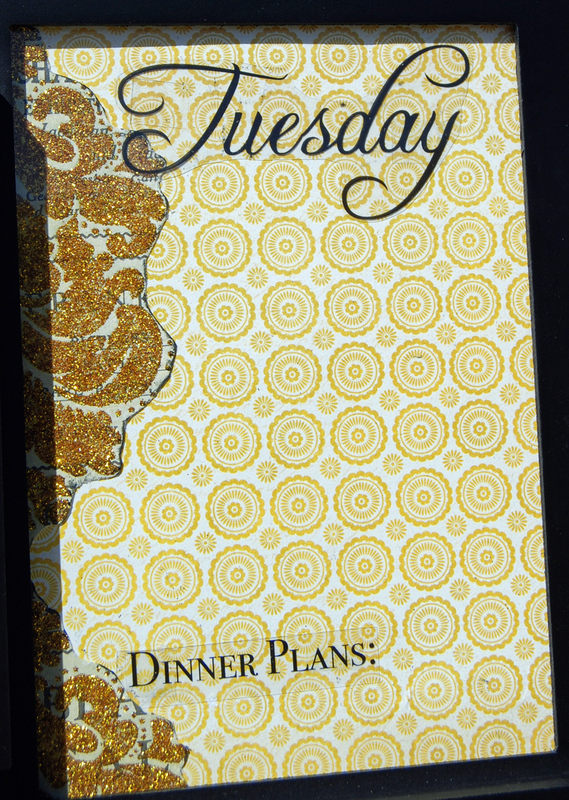 Cut the “Sunday” and “Dinner plans” title from the transparency and adhere with a glue stick or clear adhesive. Monday: Cut a 7x5 square from the bottom right corner of the “Two of Us” Lovely. 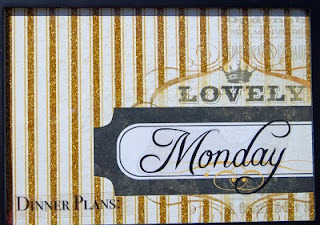 Cut the “Monday” and “Dinner plans” title from the transparency and adhere with a glue stick or clear adhesive. 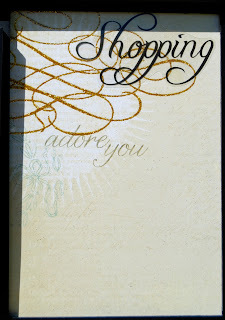 Tuesday: Cut a 5x7 square from the “Sunshine” Adore Paper. 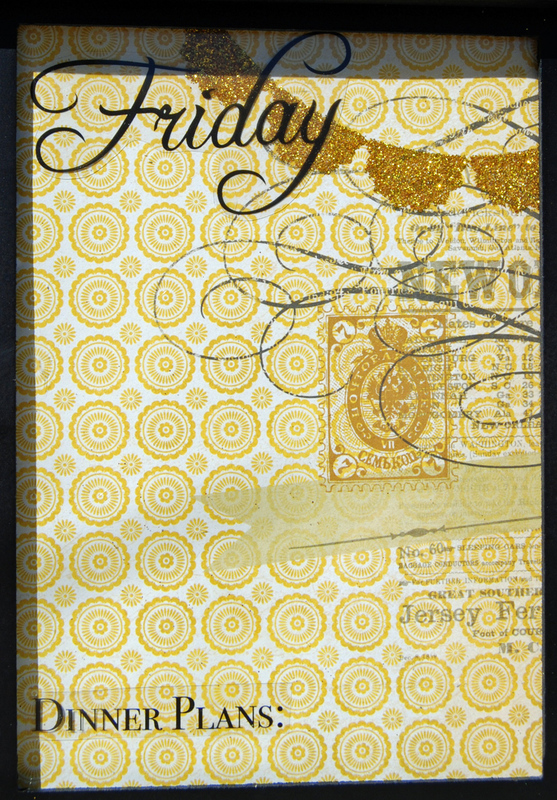 Cut the glitter damask from the left side of the “Forever” Classified Paper and ink the edges in black. Adhere to the left side of the paper. 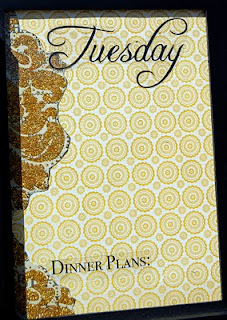 Cut the “Tuesday” and “Dinner plans” title from the transparency and adhere with a glue stick or clear adhesive. 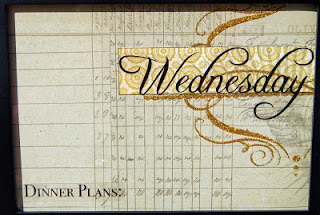 Wednesday: Cut a 7x5 square from the top right corner of the “Memories” Sweet Paper. 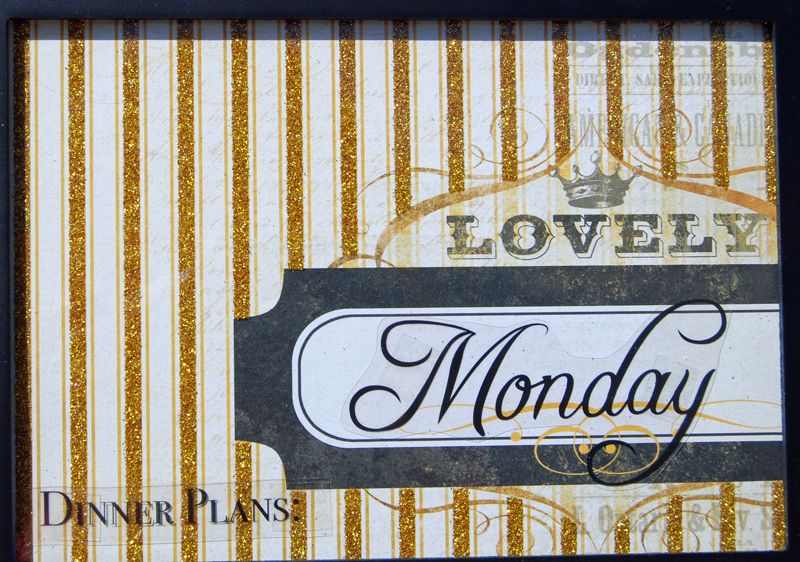 Cut another 1x4 strip from the “Sunshine” Adore Paper. Ink in black ink and adhere as shown. 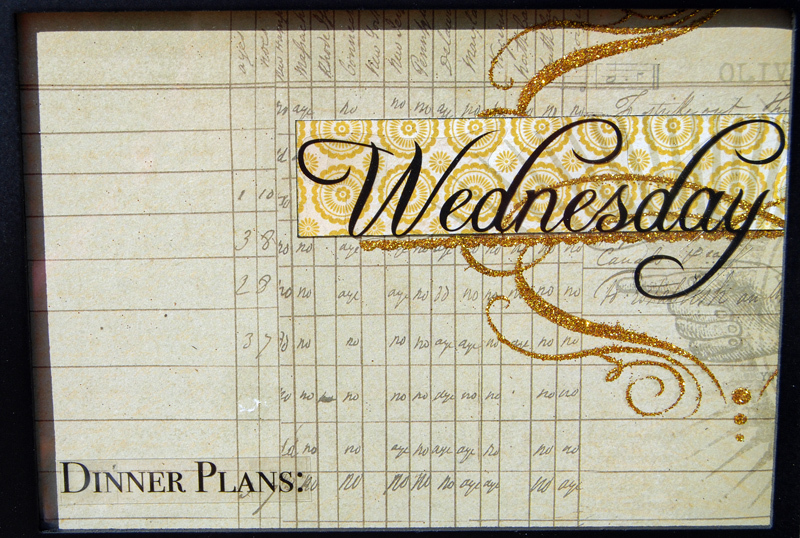 Cut the “Wednesday” and “Dinner plans” title from the transparency and adhere with a glue stick or clear adhesive. Crazy Belnap Family: Cut a 5x7 square from the “Memories” Blossoms Paper. Cut a photo matte from the “Two of us” Damask Paper. Cut the ribbon embellishment from the bottom right of the “Forever” Classified Paper. 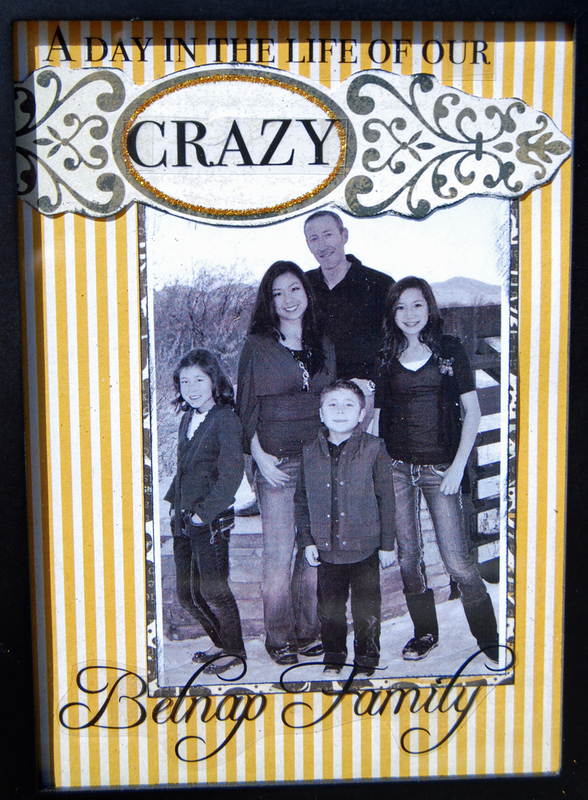 Cut the “a day in the life of our” “crazy” and “Belnap Family” title from the transparency and adhere with a glue stick or clear adhesive. 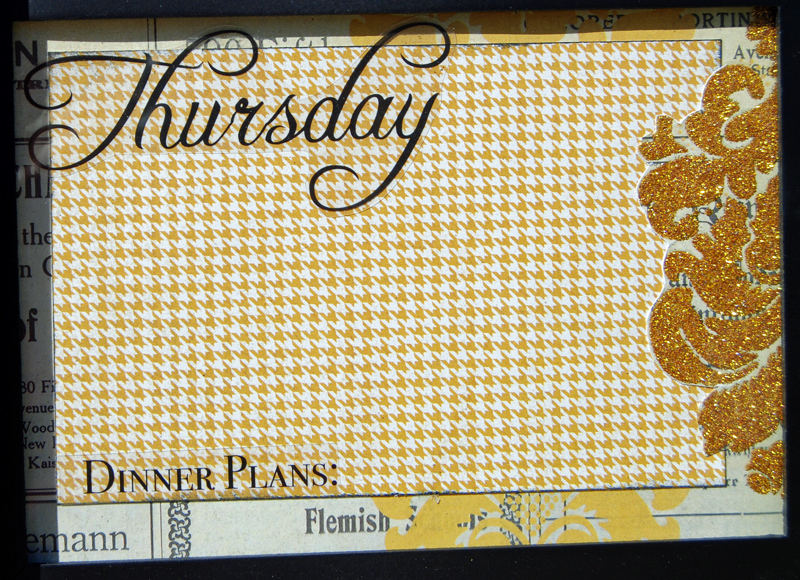 Thursday: Cut a 7x5 square from the top right corner of the “Forever” Classified Paper. Cut another 4x6 square from the “Forever” Classified Paper left overs. Ink with black ink. Trim next to the glitter damask and tuck paper underneath. 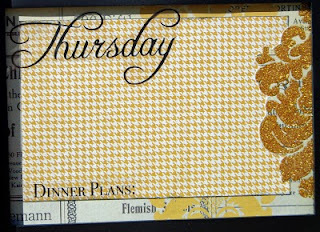 Cut the “Thursday” and “Dinner plans” title from the transparency and adhere with a glue stick or clear adhesive. 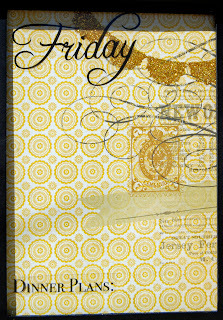 Friday: Cut a 5x7 square from the top right corner of the “Sunshine” Adore Paper. 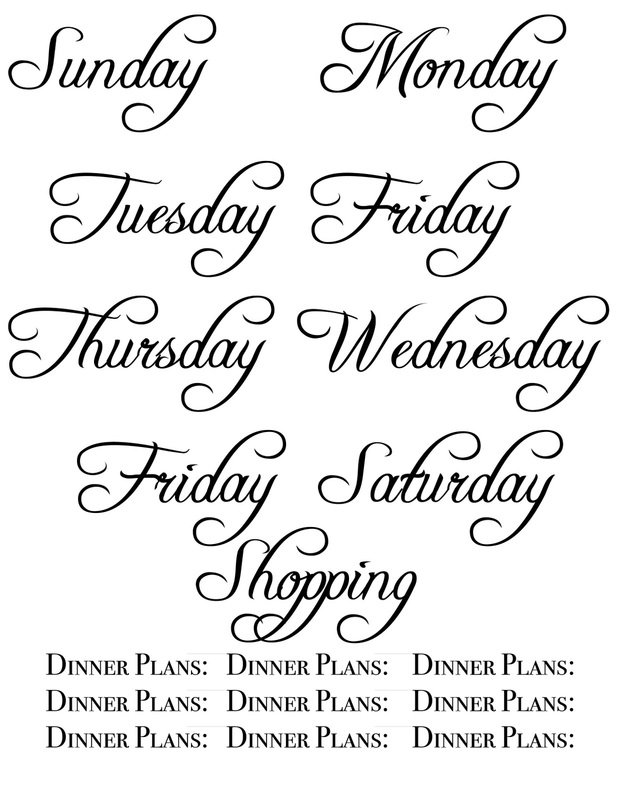 Cut the “Friday” and “Dinner plans” title from the transparency and adhere with a glue stick or clear adhesive. Saturday: Cut a 7x5 square from the bottom left corner of the “Memories” Sweet Paper. You will want to cut higher than the very bottom of the paper as shown. 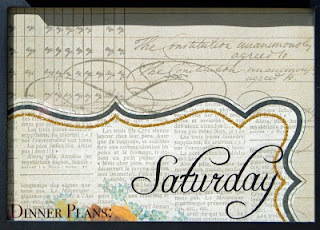 Cut the “Saturday” and “Dinner plans” title from the transparency and adhere with a glue stick or clear adhesive. Shopping: Cut a 5x7 square from the top left corner of the “Lovely” Sewing Paper. 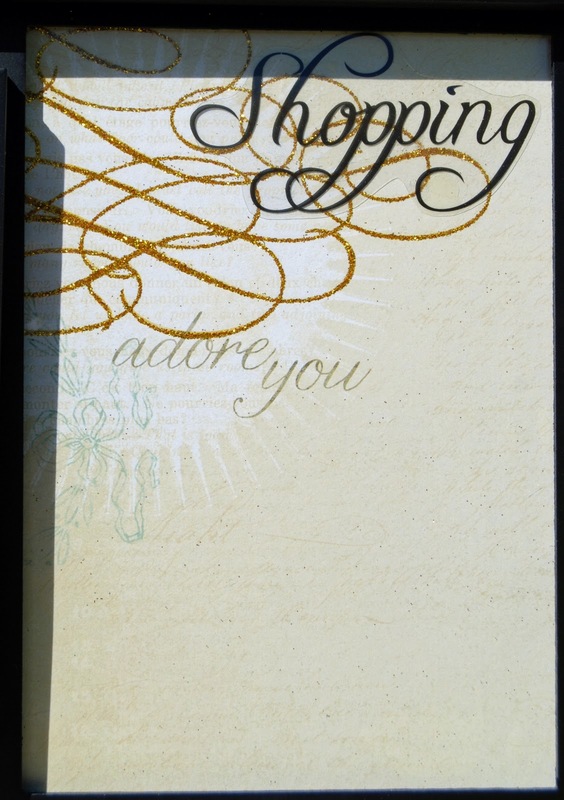 Cut the “Shopping” title from the transparency and adhere with a glue stick or clear adhesive. You can print the transparency here: Just click on the image. If you have a Mac, you would just drag the larger image to your computer. If you have a PC, just do a right click, save as and then print this on a transparency. This is also available to purchase for $.75 on our website. If you purchase this, email me at apage4allseasons@comcast.net to let me know your family name and I will also print your family name with the transparency. ... another idea ... buy a frame collage that holds 4x6 pictures and you can use a 4x6 paper pad for the design. (WE HAVE TONS OF THEM ON OUR WEBSITE)! I loved this! Saw you on Good Things Utah and you were so cute! I'm totally printing this right now. I actually have an empty collage frame on my wall. Now I know what to put in it!! Thanks so much. Where did you buy your collage frame? 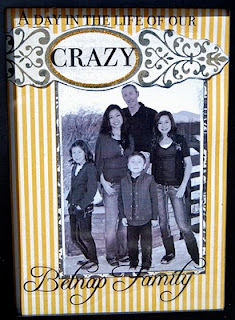 I love this idea but can't find one with 5 X 7 photo spaces. I simply adore this project. Thanks so much for sharing with with us. does the marker erase nicely off the transparency? I got the frame at michaels crafts ;) are you local? I have an extra... As for the markers, the transparency is behind the glass and the markers erase GREAT from the glass with no mess!!! 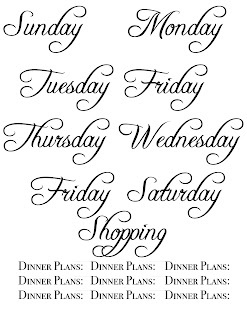 Can you tell me what font you used for the words? I want to personalize mine with my family name and I want the font to match as closely as possible! Thanks!